**The exception is if you are running over the MoCo gross weight limit for your bike/trike, then it would be better to use the Pro-Action Shocks at this LINK. 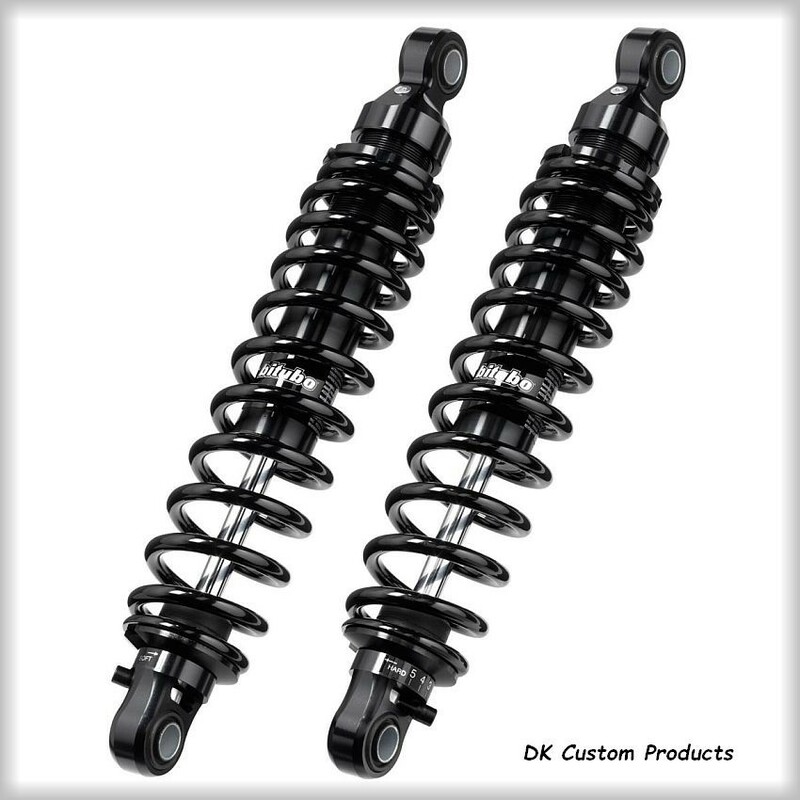 These Top of the Line Shocks give superior ride quality. Not only do they smooth out the bumps, large & small, it is amazing how much more stable your bike/trike will feel going thru the curves. It is confidence inspiring. 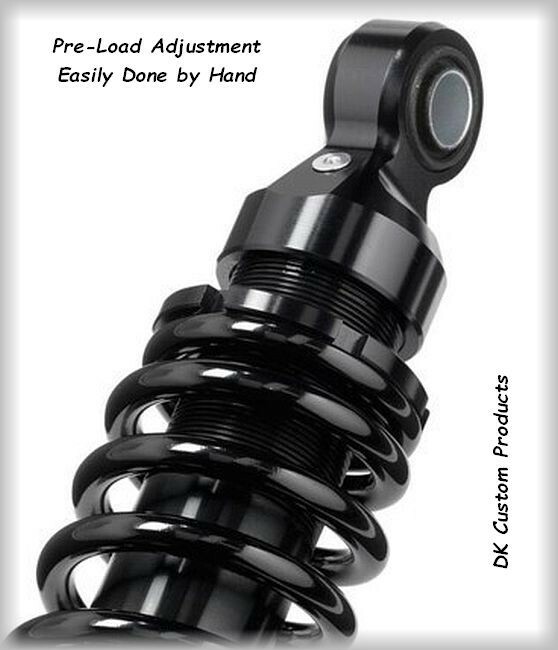 Nitrogen pressurized with a oil/gas separating piston, these dual chambered shocks improves riding comfort and vehicle control thanks to the internal hydraulic system. 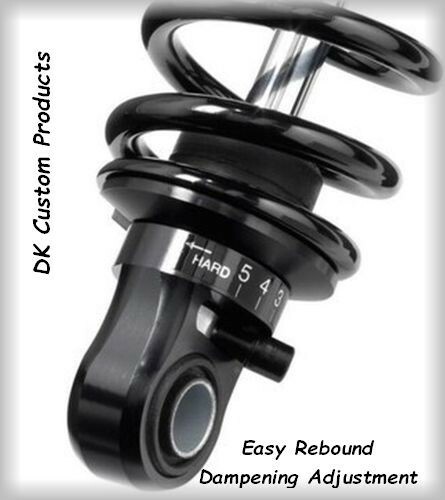 The large adjustment Rebound range offers excellent performance in every riding condition. 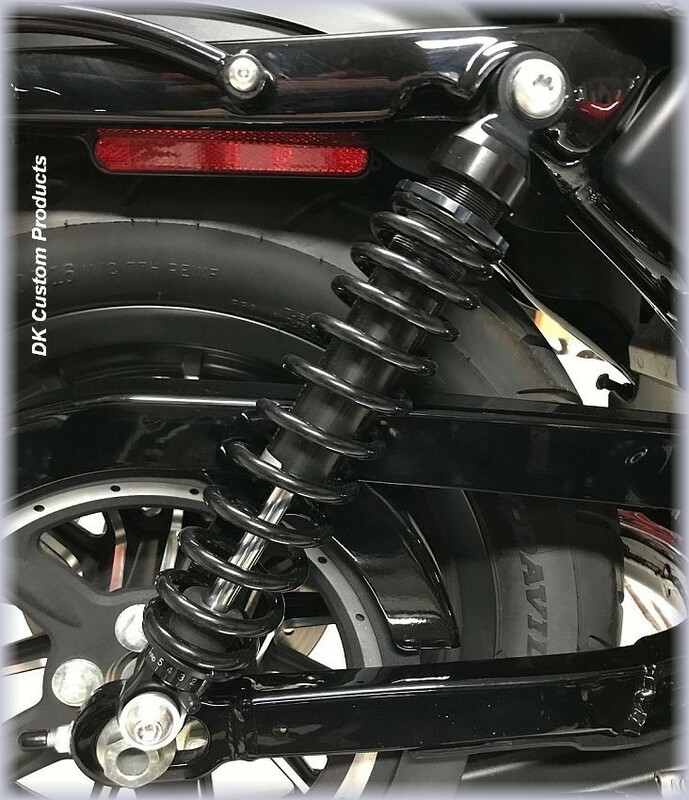 Coupled with coil over springs that have an adjustable pre-load, you will be amazed how much smoother and more stable your bike/trike will ride. When you order you will be asked some easy questions. 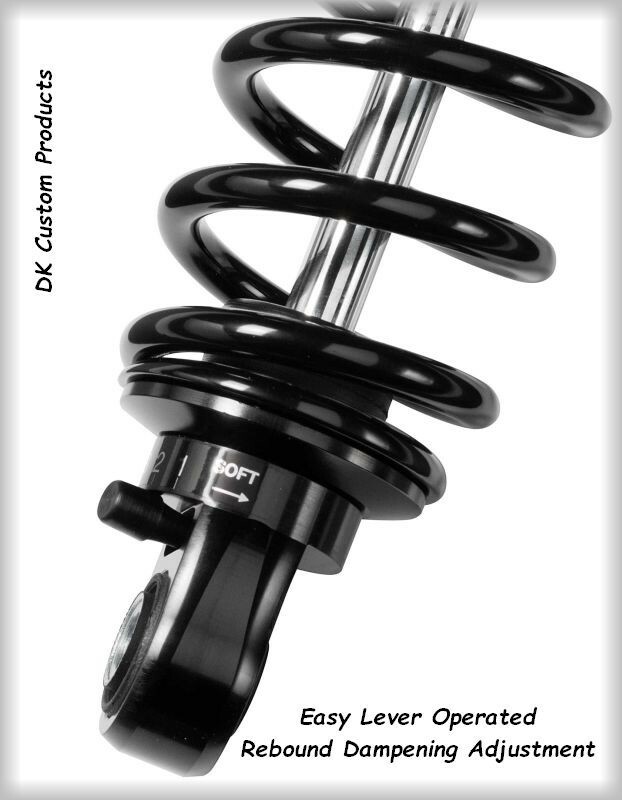 Your answers give us the information needed to use the correct springs for your shocks, as well as giving us the info needed to adjust the pre-load and rebound for you. This way when you receive the shocks they are already set-up for you. Simply bolt them on and ride! You can Lower or Increase the Height of your Bike by requesting a different Length Shock. Please tell us what length shocks you have, and what length shocks you would like us to send you. * These shocks are made in Italy. If you are running over the Gross rider/passenger/luggage combined weight, they will not perform as well as the Pro-Action Shocks. Pro-Action Shocks are Made in The USA. 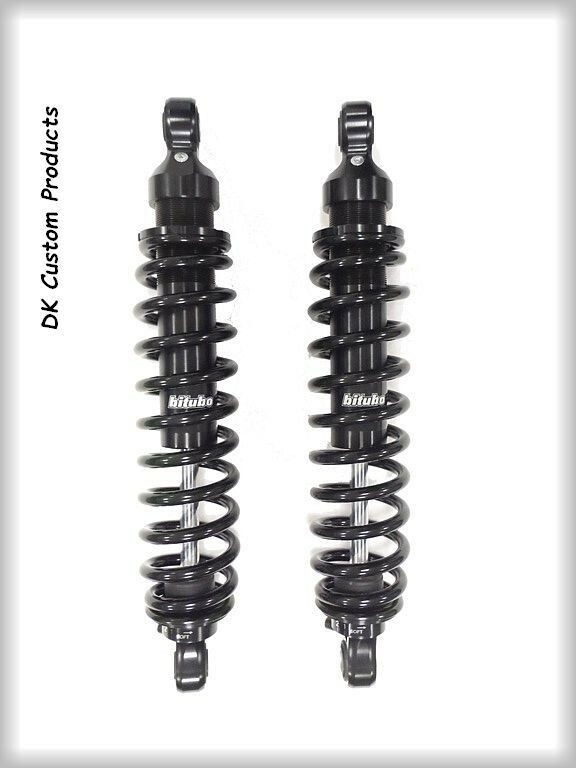 Other than those differences, we cannot tell a difference in the ride quality between the shocks. They both provide a superior riding experience.
" After personally testing, on 2 wheels & 3, and in the lab. 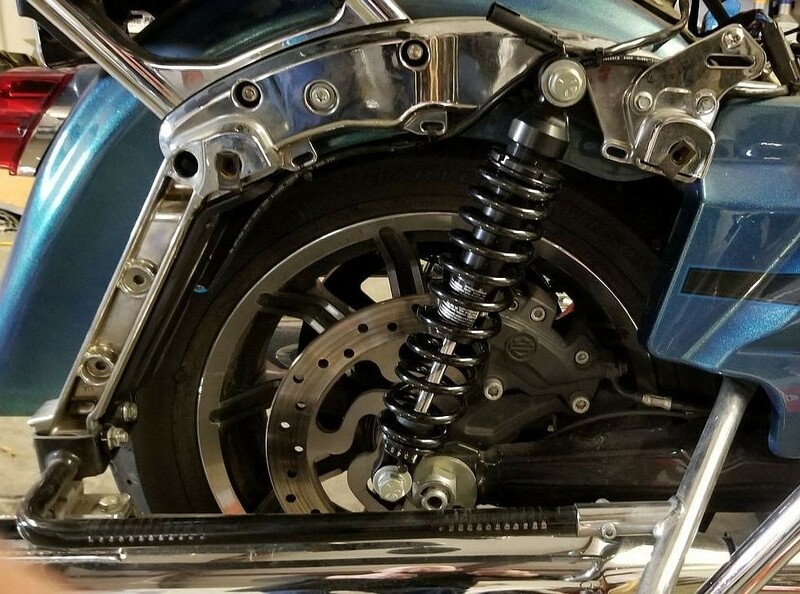 Thousands of miles of riding on 13 different sets of shocks, letting other folks ride my bikes, and give their input, the comparison between these shocks and the stock shocks are not even in the same universe. 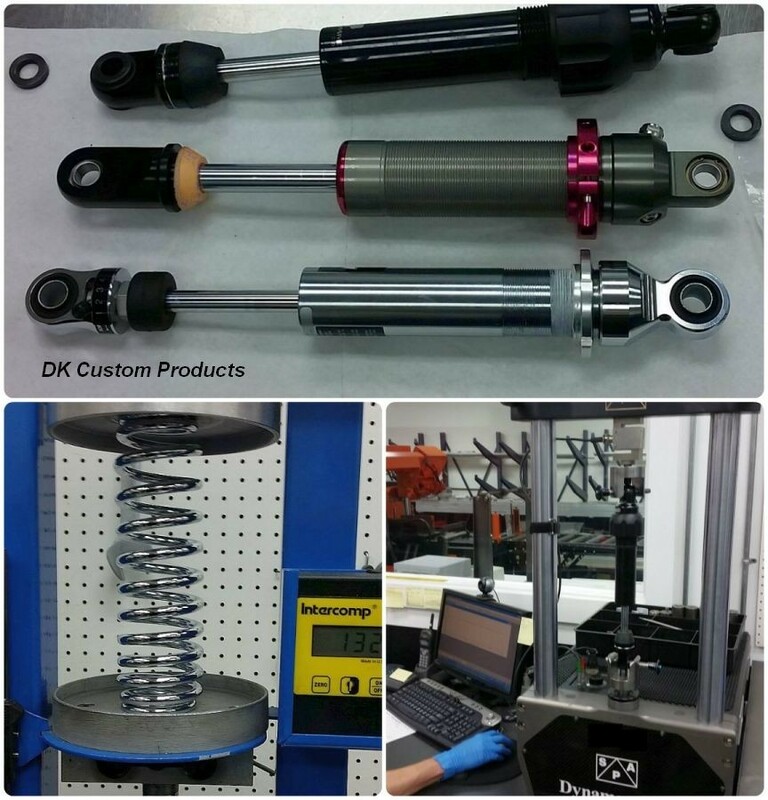 Click the Rear Shocks Test Report Link below, to learn more about How shocks work. Also included in the report are charts, showing performance results of stock, middle of the road, and top performing shocks on many Harley-Davidson Models.